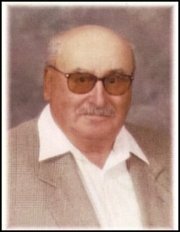 On December 11, 2010 André Dupont of Saint-Georges, Manitoba, died suddenly at home at the age of 86. Left to cherish his memory are his sister Catherine, his sisters-in-law, Jeanne and Annette and many nieces and nephews. He will also be fondly remembered by may dear friends in the community and surrounding area. André was predeceased by his parents Albert and Febronie, his brothers: Pierre, Maurice, Isidore, Jean, and Paul, his sisters: Evangeline, Sr. Marguerite and Sr. Marie, and a nephew, André. André was born June 5, 1924 and was raised on a farm in Saint-Georges. He went to school at École Allard and École Dupont where he excelled and continuously looked for challenges. Reading became a passion for him and thus he became a lifelong learner acquiring expertise in a vast area of subjects with a particular interest in history. In 1953, after the passing of his father, he inherited the family farm. Through hard work over the years, he improved the quality of the milking herd of cows. With his brother Jean, André also kept alive a family tradition: the growing of peas. For many years they harvested, cleaned, sorted and bagged peas for the making of pea soup. A favourite pastime was gardening; he definitely had a green thumb. André's pride and joy were his flower beds. In 2000 the farm was recognized as a Century Farm. After that accomplishment, of which he was very proud, André gradually reduced his working hours and prepared for full retirement. André was very involved in his community and contributed immensely. He was a trustee on the Board of the Saint-Georges Parish for over 20 years and was also recognized by the Board of La Caisse Populaire de Saint-Georges for his 25 years as a member of the loan committee. André willingly contributed his time and skills for many other organizations and activities. He enjoyed participating in and supporting various cultural activities. André enjoyed travelling. He travelled to Europe, throughout Canada and parts of the United States. Always accompanied by his camera, he recorded every event and took particular joy in sharing his discoveries. Travelling permitted him to further his research in genealogy, a great passion for him. A wealth of information has disappeared in his passing. In 2008, André moved to the Foyer Chateauguay in Saint-Georges where he immensely enjoyed meeting new people and participating in various activities. The family would like to extend sincere thanks to the Pine Falls Paramedics and the Powerview RCMP.